It must be six years ago that I was walking along my favourite beach in Australia with my Dad when he floored me with an 11 word sentence, he said “Blossom, I really think you should think about being a CEO”. As you can tell, becoming a CEO was the furthest possible thing from my mind, just as it was when I joined WaterAid as the Administration Assistant 9 years earlier. On that day, my Dad planted a seed in my head that helped changed my thinking and my belief in my possibilities. My career journey has never been a clear straight line, more like a pipeline! At each bend, I’ve needed to change or adapt some of the ways I think and work to successfully make it through from one end to the other. Each twist and turn along the way have often been representative of a new obstacle that has challenged me, taken me out of my comfort zone or hurt me. Ultimately those experiences have made me stronger and a more resilient and resourceful leader. When the position of CEO became vacant in 2014, the vacating CEO Adam Laidlaw – who had been mentoring me for some time – encouraged me to apply. I wasn’t successful on that occasion, it was nevertheless a key step in my journey. Again it changed my perspective, I would find myself wondering and imagining what I would have done in different situations that arose if I was a CEO. When I was appointed as Chief Executive in late 2016, again I had mixed feelings. I felt incredibly proud about leading the organisation, up for the challenge and passionate about what I wanted to do. I also feel like an imposter. I spent the first couple of weeks comparing myself to those who had the role before me – “How was Chris Wootton? How was Adam Laidlaw? How was Paul Nichols?” I’d be saying to myself. I soon realised these were the wrong questions; what has always been important to me, and central to effective leadership is authenticity – I needed to be Rosie Wheen in the CEO role. Realising this gave me such a strong platform to lead from and to quell those imposter thoughts. The other thing I found I needed to confront was the shift in power I experienced with the title of CEO. I have always been committed to addressing inequalities the notion of the power that comes with the title was something I struggled with. For me, what it has that meant is being intentional about using my power for the good of the people we’re trying to serve and to provide more opportunities for other women to lead. When I do that I feel authentic and confident, I embrace my role. I had an opportunity to practice this in Cambodia recently. Along with four of our board members, I attended a community event to celebrate a new water kiosk business that was making the community healthier through selling filtered water. Just before the speeches began, I had a look through the list of speakers with Channa, a young Cambodian woman, our health advisor. We read the names of one man after another, with our Country Director James the final name on the list. I turned to Channa, she turned to me and we looked at James. “You’re not going to speak, we are” we told him. In his place, I took the platform with Channa, who had the opportunity to speak about her field of expertise to 100 locals. Together we also called up the woman who ran the water kiosk, who rather than being acknowledged and celebrated for her leadership had been preparing afternoon tea for us all. As she came to the front, Channa and I asked the crowd to give a round of applause. It was a beautiful moment for this woman who had done all the hard work to be recognised by her community. And for me, it was a nice moment of realisation where I could see how my power and my leadership could provide space for those often underrepresented. 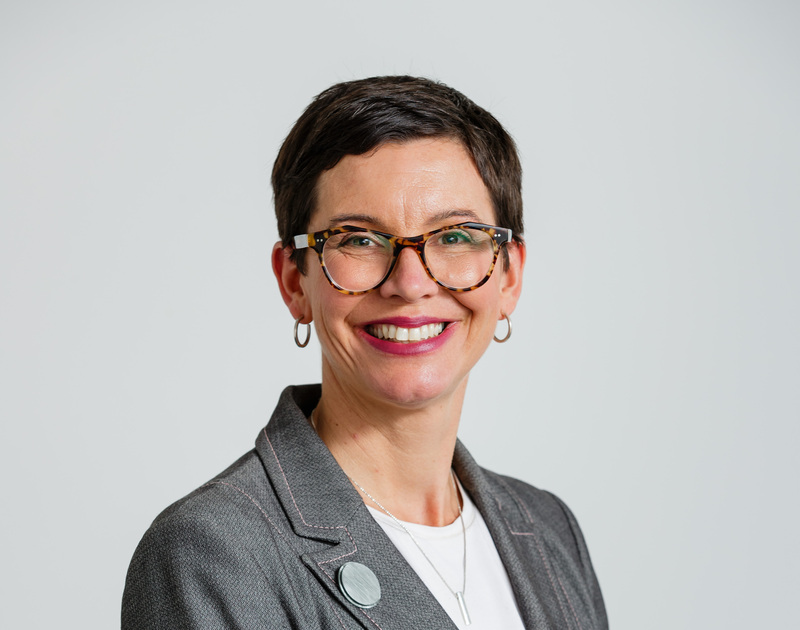 Rosie Wheen is the Chief Executive of WaterAid Australia and a passionate advocate for human rights, gender equality and universal access to water, sanitation and hygiene.